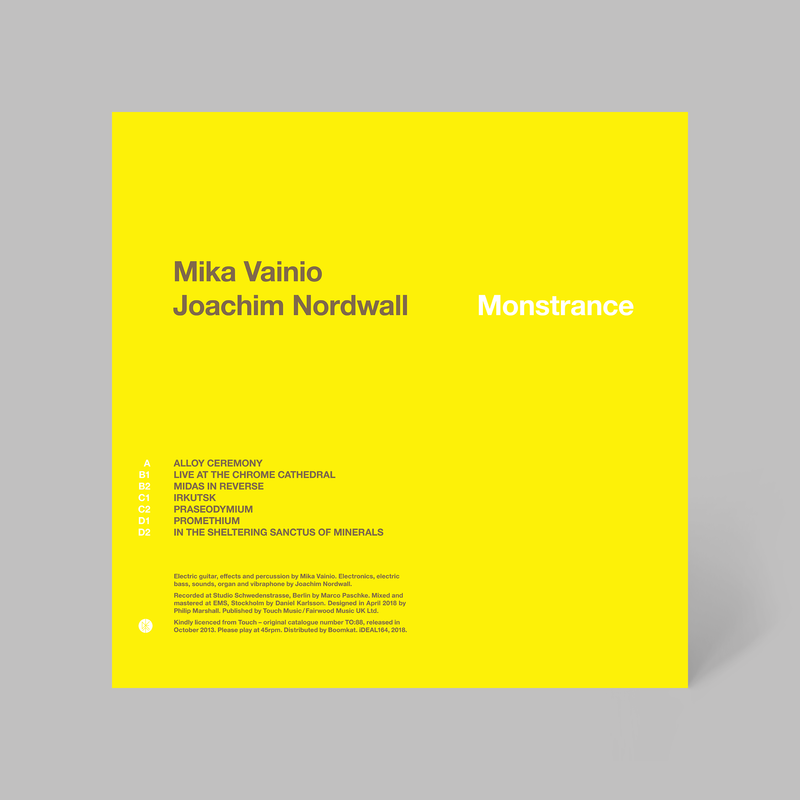 ‘Monstrance’, a collaboration between Mika Vainio and Joachim Nordwall, was originally released on CD by Touch in 2013. 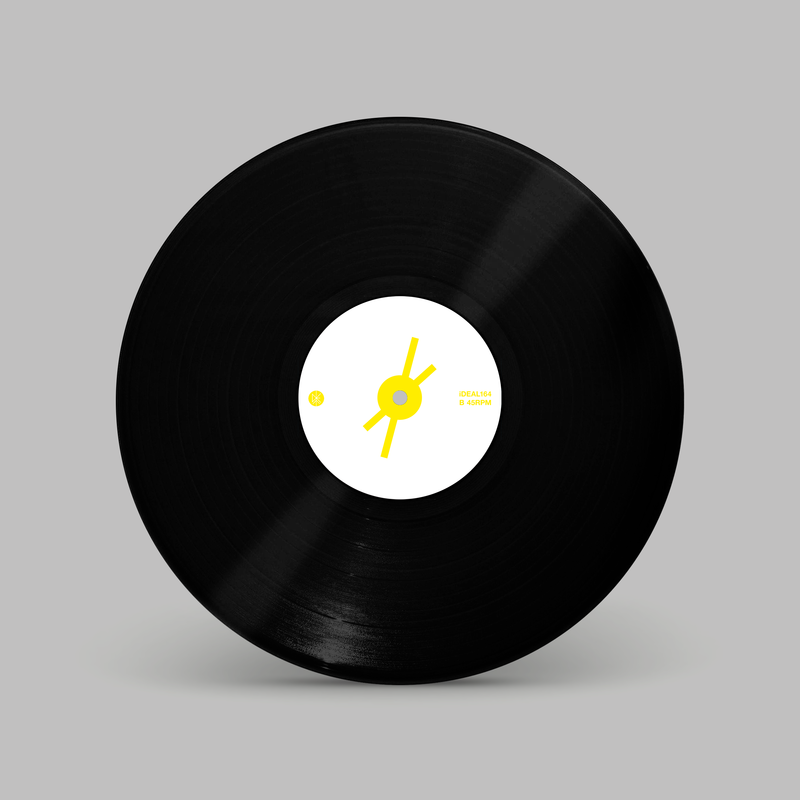 For its 2018 2x12” vinyl reissue, Joachim approached me to create new cover artwork. 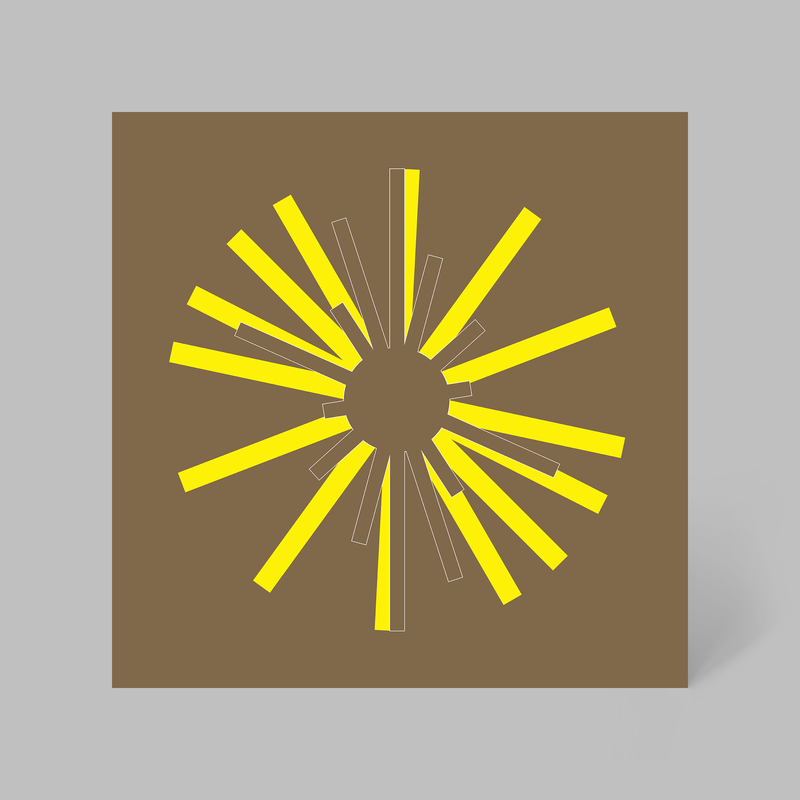 The front cover depicts an abstracted monstrance, with each bronze beam of its sunburst relating to the length of the tracks on the album. I restricted the palette to a metallic bronze and solid yellow, referencing the album’s solar imagery and metallurgic titles.